FIRST ON WLBB: Will one of the first few evicted houseguests be making a return to the Big Brother 12 house this year? Fans have reason to think there’s a twist on the way. This season, all evicted houseguests will be sequestered. Many fans are questioning whether that means Annie or another future evictee will make a second appearance in this year’s house. Historically, the first four evicted houseguests return to their hometowns shortly after being evicted. WeLoveBigBrother.com and other media outlets will still be given the chance to interview Annie via e-mail before she heads to sequester. 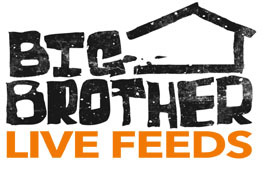 You can read our interview here on WeLoveBigBrother.com tomorrow morning. So what do you think? We’ll leave the speculation up to you. Be sure to leave your comments below! For more updates, be sure to follow @wlbb on Twitter.